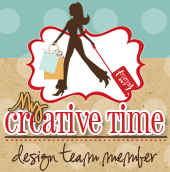 Welcome to day #2 of the May Stamp Release at My Creative Time!! Im so excited to share this project because I LOVE IT! I used Emma's new Tag Dies Set and Im in love with them!! I made these cute little tags for my daughter and her friends up coming 8th grade promotion. I hand cut the polaroid frames out of cereal boxes and layered it over the tag. I used twine from our very own DT member Miss Liz's new online store. (love her store!) I just love how they turned out! What do you think? There is still so much more to show you but this is only a glimpse of what you can do with this stamp set! There are tons more ideas on the design teams blogs so make sure you check it out! Oh and don't forget to leave a comment! Big crafty hugs to you all! Great project idea! I bet they will love them. These are awesome little bookmarks for the kids. Love the Polaroid frame. I love the picture idea, great idea! Thanks for sharing it. These are awesome!! Great idea with the pictures!!! These are great!! Love the polaroid frame! And the color theme is fabulous! I love your tags wonderful job on them!!! Very cool, I like how you added a photo on the tag. Super cute!! It reminds me of a polaroid!! Love your tags and great idea to add a photo. Thanks for sharing. Fun personalized tags! I like the photos on them. TFS! what a fantastic idea to make tags with pictures. COOL! These girls sure have a lot of fun and are lucky you make them things to remember the times when...they might appreciate that some day if not already! Great job! These are so cute and the fact that you recycled cereal boxes makes it even better! Super tags, I am sure they are going to love them! Very cute--I like the polaroid frames. Love your personilized tags, they truly look amazing, love the color combo too, TFS Nancya! Nancy ~ I LOE it! What a CLEVER and AWESOME idea to CELEBRATE your daughter and her friend! CONGRATS to you daughter! What a AWESOME Mom you are! This is just a another scrap lift idea too! AWESOME job like usual! Great idea for graduation. Love the pictures on the tags.